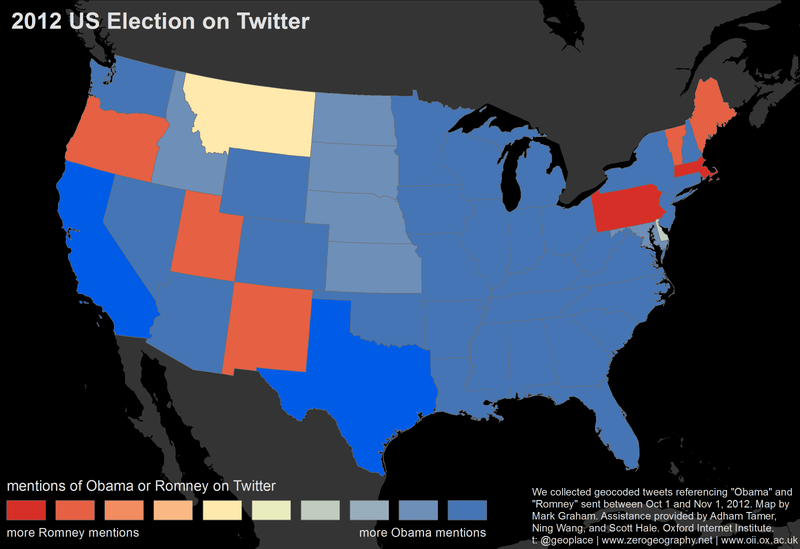 floatingsheep: Can Twitter Predict the US Presidential Election? 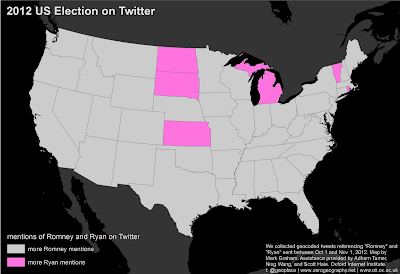 Just curious on how you gather the Paul Ryan tweets. Was there a concerted effort to narrow "Ryan" tweets to those referencing Paul Ryan or did you just straight up search for tweets with "Ryan" in them? I only ask because, and this is speaking as a Ryan, it's a fairly common name. This is so flawed! Vermont was the first state to give its electoral votes to Obama, and has the highest % (67%) for Obama than any other state. 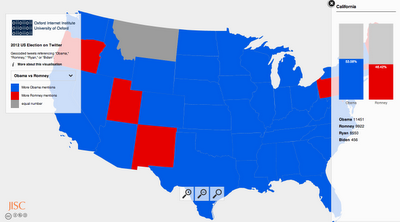 (DC was in the 90s but it is not a state.) So what does this information really tell us???? 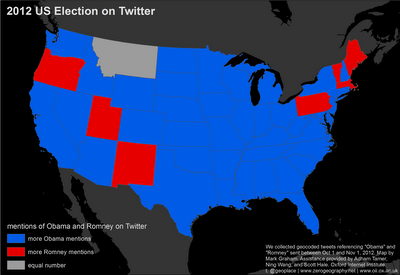 I don't think its any good as a predictor, but it least serves as an indicator of who uses Twitter.